Artina Studio: MORE FIGHT DOGS! Here are two more characters for Fight Dogs. 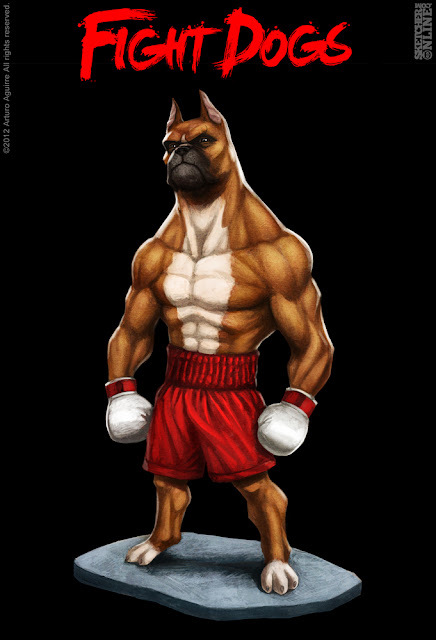 This is Cassius, the middleweight champ that floats like a butterfly and stings like a pissed off hornet. 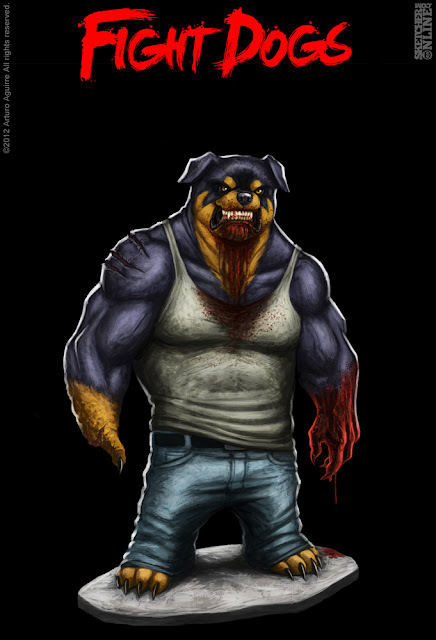 And Tank, who is never shy to go all out gruesome in a fight. With the strongest chompers in the competition, he uses them to finish a fight quickly. These were both created in Photoshop from scratch. I will post some of the process I have been using to create these characters.